The first book in the Suzanne Collins trilogy is given a grand screen treatment, and delivers an astounding experience. The Hunger Games is a triumph of soul and style over a brutal subject matter. In a dystopian future, the concept of reality television has extended to a real-life on-screen competition-to-the-death among children. Every year, all of the12 subservient Districts of Panem (a future North America) are compelled to send a boy and a girl between the ages of 12 and 18 to compete in a televised death match until one child survivor is declared the winner of what are termed The Hunger Games. The competition is held for the viewing pleasure of the masses, including the ruling elite who reside in the Capitol. The Hunger Games are a depraved punishment and remembrance ritual for a destructive civil war in which the Districts rebelled against the Capitol, currently ruled by a cold hearted President (Donald Sutherland). In District 12, a mining outpost and the furthest and poorest District, 16-year-old Katniss Everdeen (Jennifer Lawrence) volunteers to participate in The Hunger Games to save her randomly selected younger sister. Peeta Mellark (Josh Hutcherson), a baker's son, is the other District 12 representative. Katniss has strong survival skills and is an expert archer, while Peeta is less inventive but has strong upper body strength. After some rudimentary training and mentoring by the semi-drunk Haymitch (Woody Harrelson), District 12's only previous winner, Katniss and Peeta start the merciless tournament against 22 other kids, some of whom have trained their entire young lives for this competition. Creating an enthralling cinematic experience out of a potentially repellent premise was never going to be easy, but director Gary Ross, co-writing with Collins and Billy Ray, pulls it off with panache. Ross allows his cameras to catch only glimpses of the horror of children killing children, and focuses instead on the unfolding human drama of Katniss discovering the world, herself, and hints of her future. Katniss of course kills only when she has to and in self-defense, and has to resort to quick thinking and brains over brawn to rescue herself from several back-to-the-wall situations. She is also the beneficiary of the kindness of others, survival requiring a sometimes unexpected helping hand. 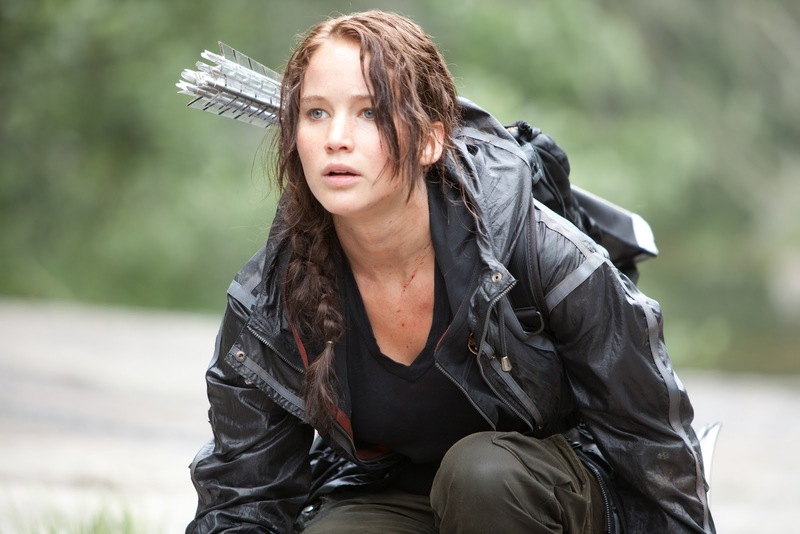 The Hunger Games is also a celebration of story ahead of special effects. While there are plenty of eye-popping computer-generated visuals, they never dominate and are firmly in third place behind the powerful narrative and interesting, colourful and mostly well-defined characters. Jennifer Lawrence is the heart of The Hunger Games, and she carries the film gracefully while creating an enduring heroine. In an uncanny extension of her role in Winter's Bone Lawrence is all defiant ability masking deep insecurities while pushing back against a rising tide of panic at her destiny. The other child competitors do achieve individuality but without much depth. Josh Hutcherson is several notches below Lawrence and is unable to convincingly embody an emerging warrior with romantic intentions. 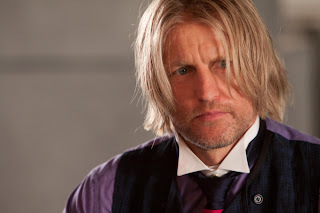 Woody Harrelson and Donald Sutherland provide the supporting adult heft, Harrelson particularly memorable as the could-not-care-less Haymitch is sparked by the potential that he sees in Katniss. Elizabeth Banks and Stanley Tucci add interest as two over-the-top supporting characters, Banks a fashion catastrophe as the over-elaborately coiffed District 12 chaperon and Tucci as a most aggravating evolution of today's television talk show host. The Hunger Games presents a chillingly unpleasant but imaginable dark future. While the horrors multiply, hope persists that the pure of heart will leave their mark.